Android developers can get started with the new release of the developer preview of Android 7.1 Nougat. Developers have access to the SDK and tools right on their devices, and can enroll their devices in the Android Beta Program today. With this preview, developers can test their apps on the new platform or extend it with features like app shortcuts, and image keyboard support, wrote Dave Burke, Android vice president of engineering. Developers also have access to an updated SDK and tools, documentation, and emulators for running apps on supported devices. Other highlights include the finalization of new APIs as API Level 25. Also, the Android Developer team opened up publishing on Google Play for apps targeting this new API level. After this preview, the Android Developer team plans on delivering an update in November followed by the final public release in December. Apple has revealed its plans for Swift 4.0. The programming language is focused on two goals: to provide stability for Swift 3 code, and to provide application binary interface (ABI) stability. Since there are two goals, Swift 4.0 will be divided into two stages. The first stage focuses on the essentials for source and ABI stability, according to Swift’s GitHub page. Stage two is expected to start in the spring of 2017, and it will start once the implementation work in stage one features is “cresting,” according to its GitHub page. Netflix announced an upgrade to its popular open-source projects, Chaos Monkey 2.0. 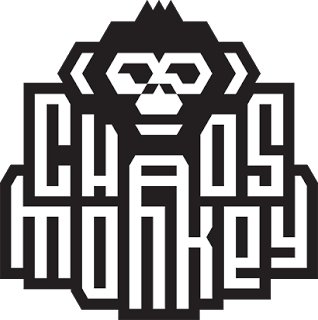 Chaos Monkey was created to randomly choose servers in Netflix’s production environment, with the ability to turn them off during business hours. With this new release, the Netflix Engineering Team rewrote the service for improved maintainability and added new features like integration with Spinnaker, Netflix’s Continuous Delivery platform. Now, service owners can set their Chaos Monkey configs through the Spinnaker apps. Also, integrating with Spinnaker allowed Netflix to improve the UX. Chaos Monkey can be configured for specifying trackers, and it introduced small features like automatic opt-out for canaries, cross-account terminations, and automatic disabling during an outage. Developers can find the code on the Netflix GitHub account. Microsoft is unifying the .NET project system and the build infrastructure with MSBuild. These tools give developers experience in Visual Studio, Visual Studio Code and the command line. The final release of .NET Core tools will provide a unified build and project system with the rest of .NET project types. The .NET team has preserved key project.json characteristics that developers value, while still enabling new cross-project scenarios that were not possible before, wrote principal program manager on the .NET team David Carmona, and Joe Morris, a senior program manager on the .NET team. The .NET team’s detailed plans on how to unify the project and build system can be found here.